Aerocool GT-S - Italian "Gran Turismo" aka "GT" in automobile means high-performance luxury sports car designed for long-distance driving. 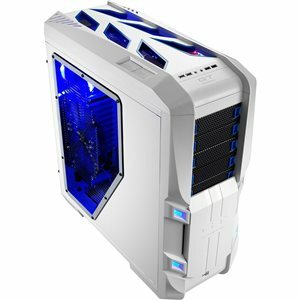 In 2012, Aerocool introduced a new "GT" series PC case aiming at providing a new gaming experience with a gaming and yet sporty case design. High-performance case for DIY enthusiasts and heavy-duty gamers. Easy to use clip-on bay covers - no need to remove front panel. 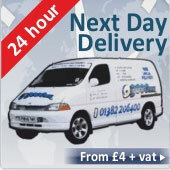 Removable Magnetic front door can be placed in any location on the front panel or completely removed. Supports Extended ATX motherboards, widening your choice, Support high-end VGA cards up to 333mm, Support CPU cooler height up to 185mm. Dual color chassis design with MB plate, HDD trays, PCI tool-free slots and ODD tool-free knobs in red color for the GT-S Black version and blue color for the White version.